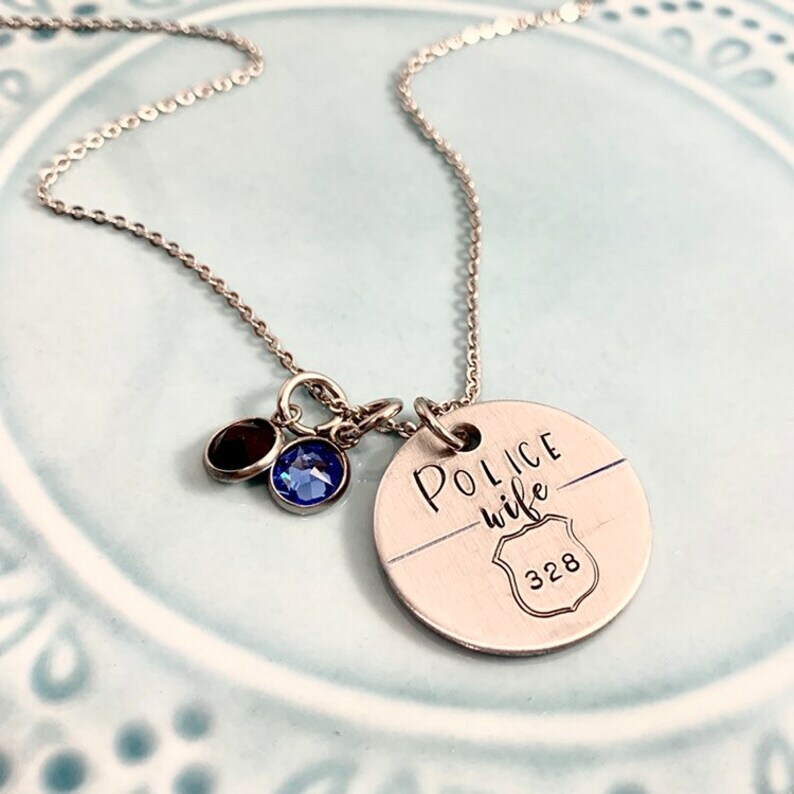 Show your support for your first responder, here is shown as police wife. This can be personalized with mom or grandma, or daughter. It features a 1" stamped aluminum charm that will not tarnish or change, as well as blue and black color crystals. The crystals are swarovski crystals set in stainless steel settings. It comes on a stainless steel chain that measures 18” long but has a 2” extender so you can adjust it to your preference. I color in the line with blue to symbolize the thin blue line.